Windows 10 has been a great operating system since it was released. It has tremendous new features that weren’t present in the windows 7 or windows 8.1. But Windows 10 automatic update is its worst part as it starts updating the windows in the background that can’t be cancelled at that time. 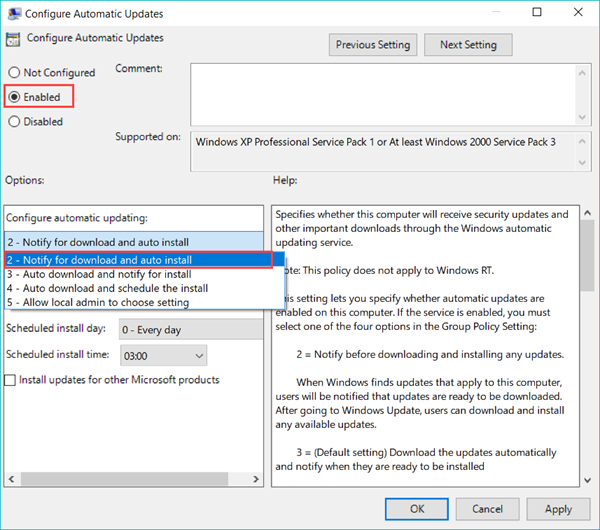 In this tutorial, we will lead you to stop Windows 10 update in multiple methods, for both Pro edition and Home edition, and make sure auto update won’t come back unless you intend so. You’ll also get a solution in the end if Windows 10 auto update gets started and in progress. Actually, people don’t hate Windows 10 update, at least not that much. People just don’t like it updates automatically. Here are three main problems of Windows auto update that annoy people. Your computer slows down while the update is downloading. Your computer may restart during update even when you are working on something. New Windows 10 builds sometimes mean problematic and unstable. Doesn’t Microsoft know that people hate auto update? Yes, but since they design Windows 10 as a service, they really want to make auto update more regular and more frequent, which used not to be on previous Windows. Nevertheless, it should be noted that entirely disabling Windows 10 update is not suggested since new updates may be able to fix known bugs or make your computer faster and securer. You’re recommended to manually check for updates when you believe a new build will work well for you. Is there an easy method to stop Windows 10 update that every newbie can follow? Yes, you can do it just by changing Wi-Fi settings. Oh, no. This already indicates that ethernet users should be excluded. 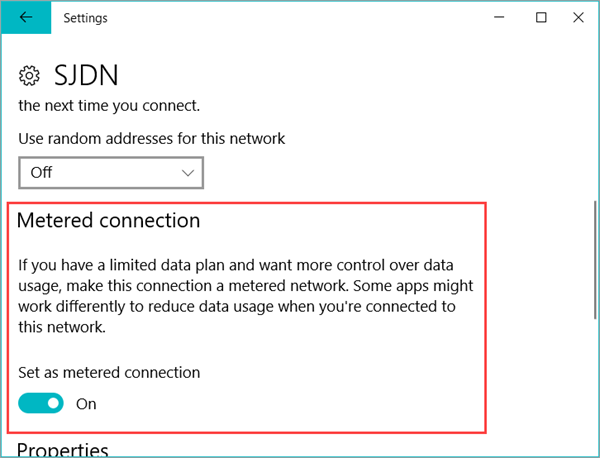 Microsoft is so considerate that they know Windows 10 users may connect to network from mobile hotspots. Downloading new update in this way may create extra cost, which will definitely cause complaint. Therefore, we can make use of this to stop Windows 10 updates. Step 1. Go to Start and type Change Wi-Fi Settings, then click the matched option from the result list. Step 2. Click the connected Wi-Fi. Step 3. Scroll down to find Metered connection, then click the switch to turn on Set as metered connection. If you’re having a regular internet and Windows start updating without your permission, then it also has a solution. 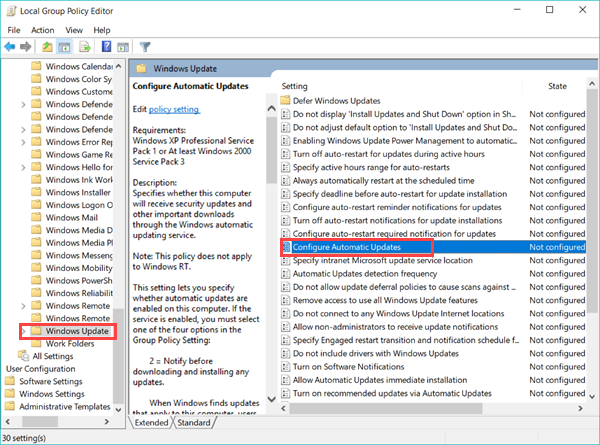 For Windows 10 Pro disable automatic updates, we can use Group policy editor. Group Policy is exclusively built in Windows 10 Professional, Enterprise and up editions. For Windows 10 Home disable automatic updates, please jump to the next part. Step 1. Press Windows key + R to open Run command, then type gpedit.msc and click OK. Step 2. Local Group Policy Editor window will open. Click Computer Configuration > Administrative Templates > Windows Components, and finally click on Windows Update. Then you’ll see this type of window. Step 3. On the right pane, search for Configure Automatic Updates. Double click on that option. Step 4. Now click on Enabled option to select the options for update. Step 5. Under Configure automatic updating, you have 4 choices for what you want and how do you want your Windows to update. Option 3 is usually the default. Step 6. By selecting Notify for download and notify for install option, Windows will stop updating automatically. Whenever new updates release, you’ll be notified about the updates and will ask for permission to download those updates. Step 7. Once you decide, click Apply > OK.
You can also set other options on Step 6. You can set a specific time when you’re free and can update windows in that time by selecting Auto download and schedule the install option. 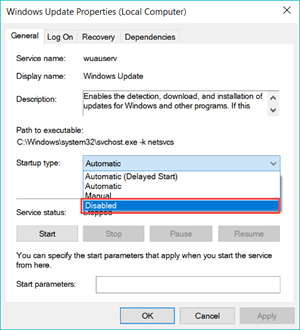 If you really want to disable Windows 10 update, just select Disabled on Step 4. 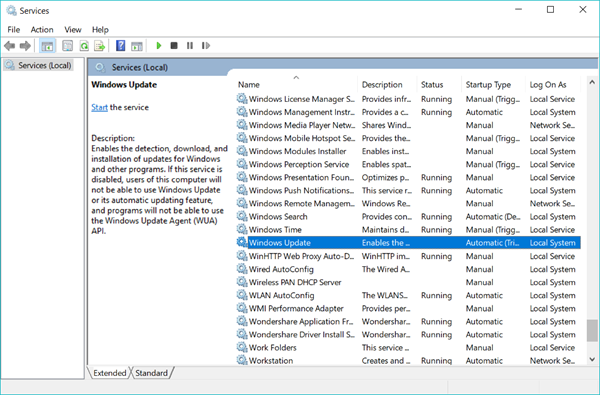 Disabling Windows update service is one of the most popular method that IT lovers use to stop Windows 10 update. However, many people report that the update service restarts itself after a certain time. Here we are also going to share a trick to prevent it from turning back on. Step 1. Open Run command, then type services.msc and hit Enter. Step 2. Scroll down to find Windows Update. Step 3. Double click it, then you find 4 startup types on General tab. Step 5. Switch to Recovery tab. Set all First failure, second failure and subsequent failures as Take no action, and input 9999 in the box after Reset fail count after. Step 6. 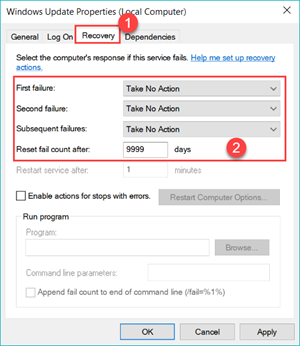 Click Apply > OK.
You can stop at Step 4 for purely disabling Windows update service, but it is Step 5 that makes sure the service won’t restart when the computer detects the service is disabled. Stop Windows 10 update in progress. If you find that Windows update is downloading and want to stop it, then you may turn off network and change Wi-Fi setting immediately as described above. If you find the update is already ongoing, then look back to Step 2 on Home Edition part, right click Windows update and choose Stop. However, it is unclear if unknown error will appear. If your Windows 10 has been updated silently, check how to roll back to a previous version.